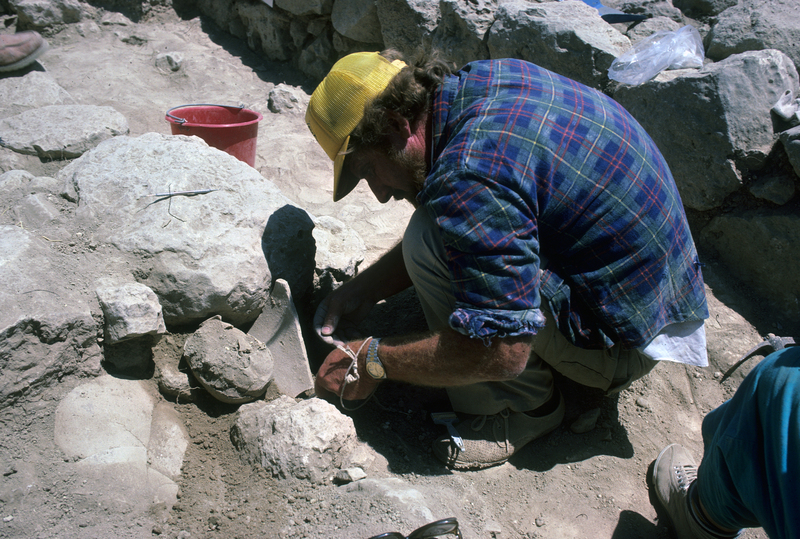 Aren Maeir (director of excavations at Tell es-Safi, biblical Gath) has written a post on the cultic finds from Kh. 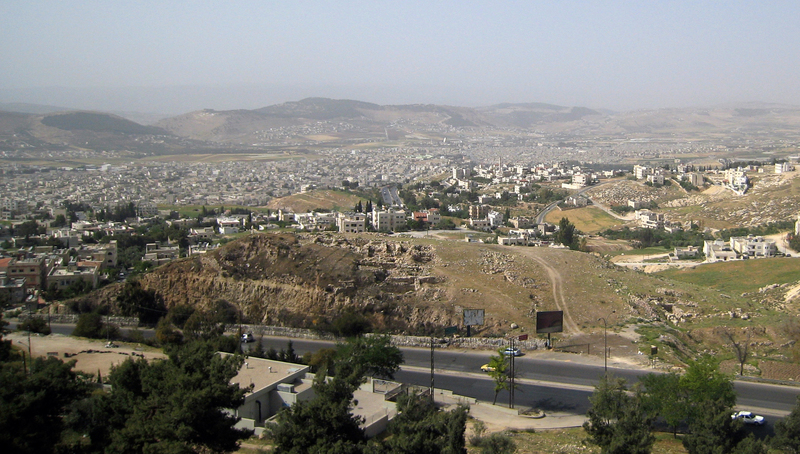 Qeiyafa. Yossi Garfinkel has written a brief response to Aren on his interpretation of the model shrines as biblical term aron elohim (in this case “ark of the gods“). I am traveling today so I can’t comment more, but I think Aren’s comments are exactly right. Not much to report on this day. We slept in a little bit and then did some shopping in the Old Souk of Souk Mikael. 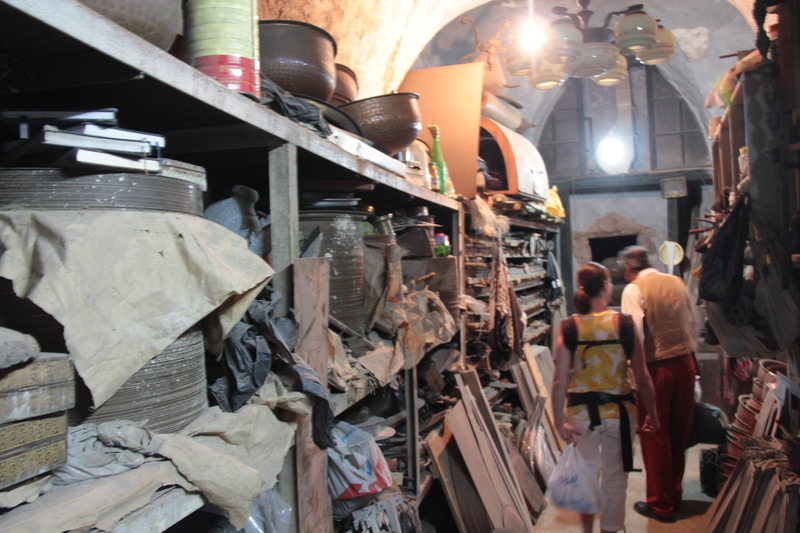 It was unclear to me whether this souk is actually old or if it is built to look old. Nonetheless they have done a good job of making it appear old, with a cobbler, weaver, and other local craftsman intermingled with more touristy shops and authentic Lebanese restaurants. We purchased a few trinkets for the kids, so they would have something to remember Lebanon, and wandered around the souk. We left in plenty of time to make it to the Beirut National Museum and still make it to the airport to drop off our rental car in time so we wouldn’t have to pay for an extra day. But, of course, traffic was bumper to bumper from when we got on the highway through Beirut. The day before there had been some traffic but this day it was terrible. What should have taken us 30-40 minutes tops, took 2 hours. Oh, and we got lost. By the time we figured out where the museum was and made it through all that traffic we decided to head to the airport. We made it about 20 minutes before the car was due, so its a good idea we skipped the museum. We had an incredibly busy four days, packed full of sites and new experiences. I was itching to get up to Baalbek and Anjar in the Beqa’ah Valley, but we decided against it because of general safety concerns. 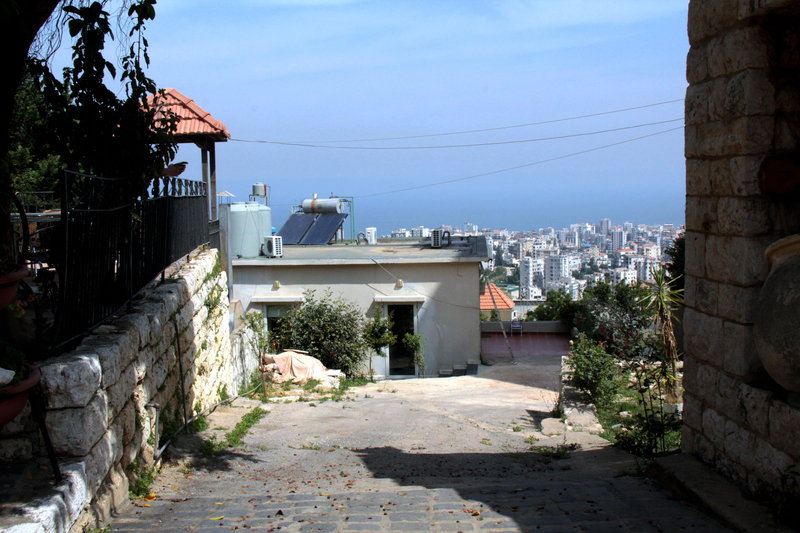 Angela reminded me that this was just our first time to Lebanon and not our only time. And despite getting lost and getting in an accident it was a really fun trip. 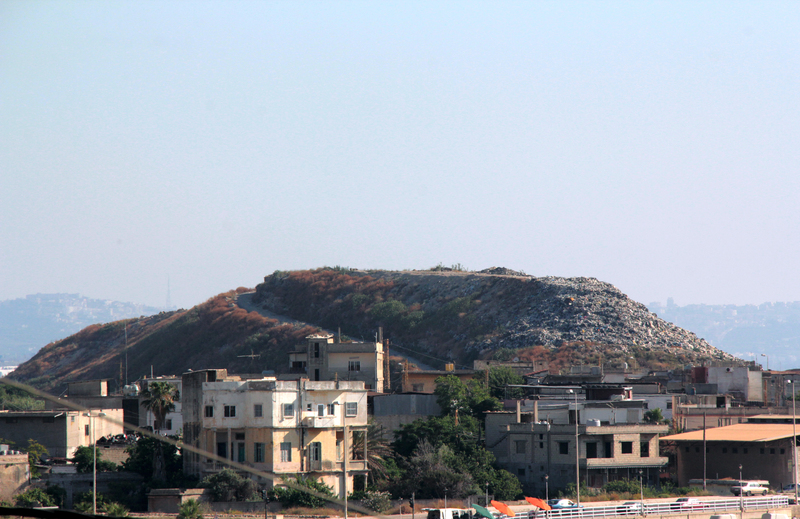 On this day we were heading south to check out Sidon and Tyre, as well as various sites around them. The day started off poorly and continued on that downward trend. As we were turning to get back on the highway south we were pulled over by two police officers. 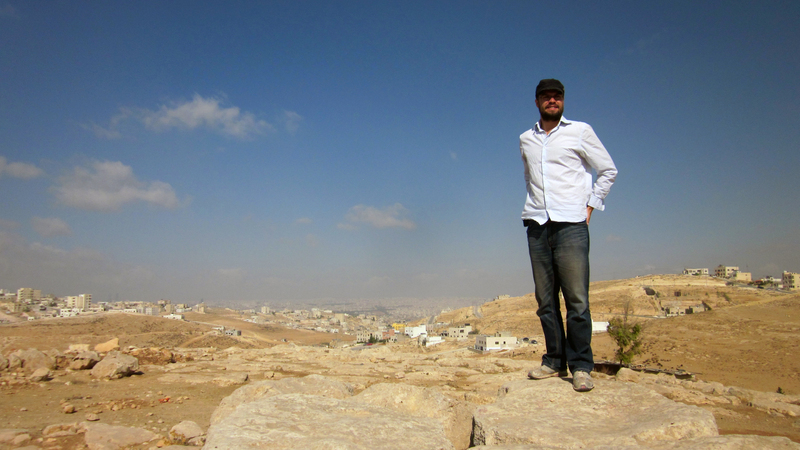 They indicated through limited English and Arabic that I had gone the wrong way through a one-way intersection. Now this was the most convoluted intersection ever almost like a figure eight with crisscrossing directions. 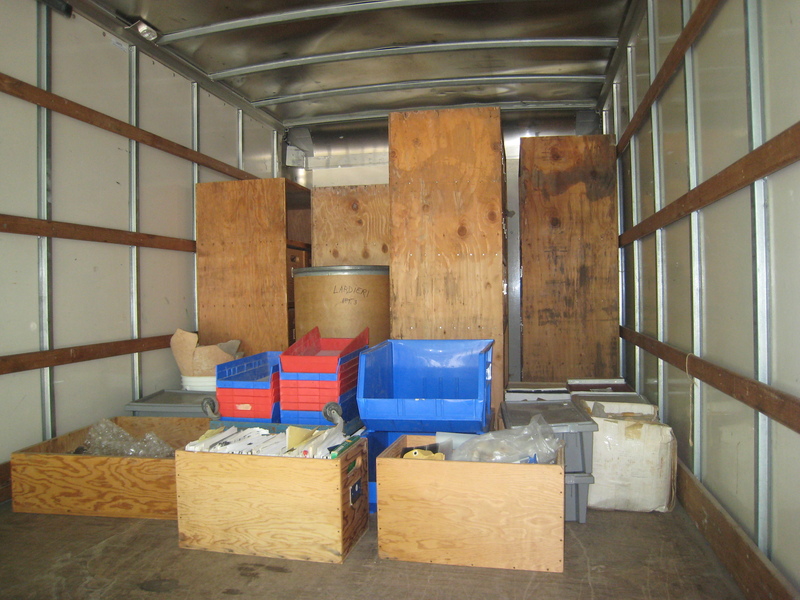 The police indicated that I could give them $40 and they would get rid of the picture. I assume they meant that there was a camera filming the intersection, but I saw no camera anywhere. I told them to write me a ticket and they took my license and registration. They continued to try to get me to pay $40, which I thought was a bit ridiculous. It was clear they wanted a bribe and that probably 100’s of cars went through that intersection any way they wanted throughout the day. The police officers brought me out of the car and tried to get me to give them money. I told them I only had Lebanese pounds and so they wanted to see my wallet. 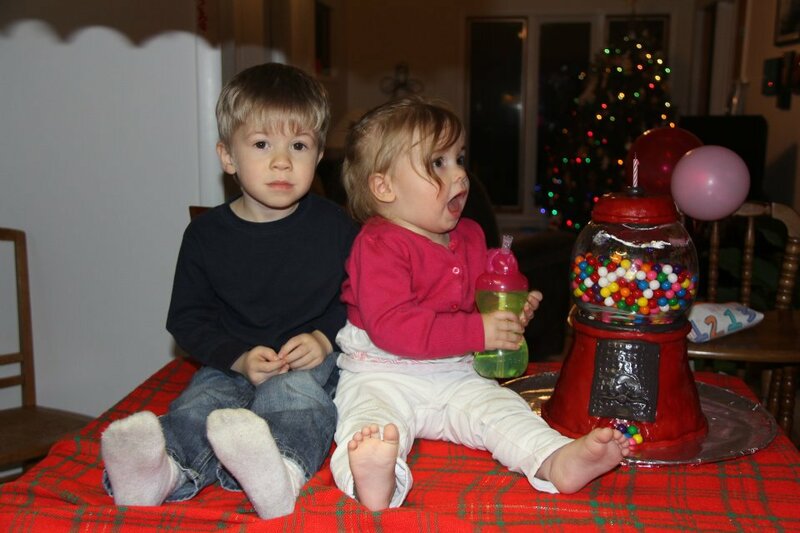 I showed it to them and I had more than enough to bribe them, so they insisted on some pounds. However I insisted that money was for the remainder of our trip and I would not be giving them any of it. So, they gave me back my license and registration and let me go. We then got lost in Beirut (typical), but made it out okay and were close to Sidon when we got in an accident. There was a large Phoenician temple (Temple of Eshamoun) that we wanted to see on the other side of the road. I was trying to read a broken sign and saw at the last minute that we were supposed to turn, so I put on my blinker, looked in my rearview and went for it. As we were turning into the median to go back the other way a SUV nailed us on the drivers side door. We slid further into the median area and came to a stop. The car was undrivable, so between filling out insurance information (twice, for a police inspector and some kind of insurance inspector) and waiting for a new car we lost a good 2.5-3 hours. Oh, and did I mention it was my birthday? We decided to skip the temple and just drive into Sidon. We parked next to the beautiful Sea Castle, built by the Crusaders and ate lunch at a very nice restaurant on the water overlooking the castle. While a little bit more expensive, it was serene and delicious, just what we needed to recover from our hectic morning. We checked out the castle, which had a lovely view of the ancient harbor (and lighthouse area) as well as back towards the modern city. 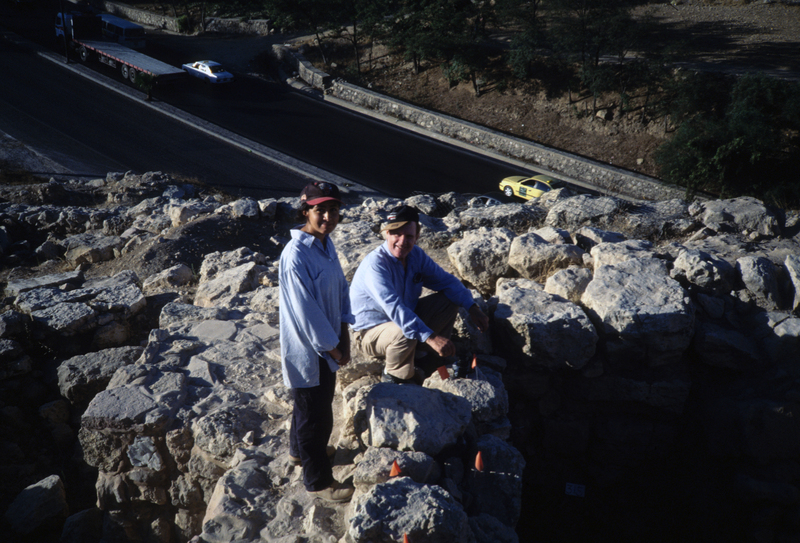 We then drove into the city and tried to find the ancient site, which included a large Crusader castle, Roman city remains, and Phoenician remains. Unfortunately all of the different areas were completely closed. All doors and gates were locked behind high fences. I asked a couple locals about access, and they all seemed to indicate that these areas had been inaccessible for a long time. As we drove out of town we thought we saw a large tell next to the sea, but upon closer examination it was an enormous garbage dump. We were going to stop at two Bronze and Iron Age sites, called Tall Brak and Sarepta (or Sarafand). We were having a hard time finding the first one and it was getting later in the day so we decided to continue on to Tyre. We were driving down the main highway when, all of a sudden, the road stopped. Now, this wasn’t like in Israel where there are large concrete barriers, this was just an enormous mound of dirt with trees growing on top. It was quite surreal, like nature was taking back what originally belonged to it. 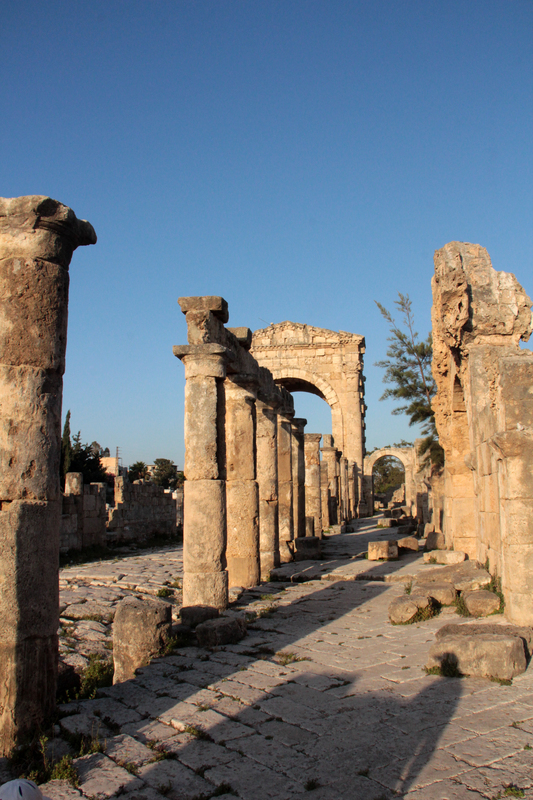 We eventually made it down to el-Bass, the Roman and Byzantine area of ancient Tyre. We took the coastal road and drove through a number of towns where something like the Hezbollah youth were doing fundraisers next to the road. 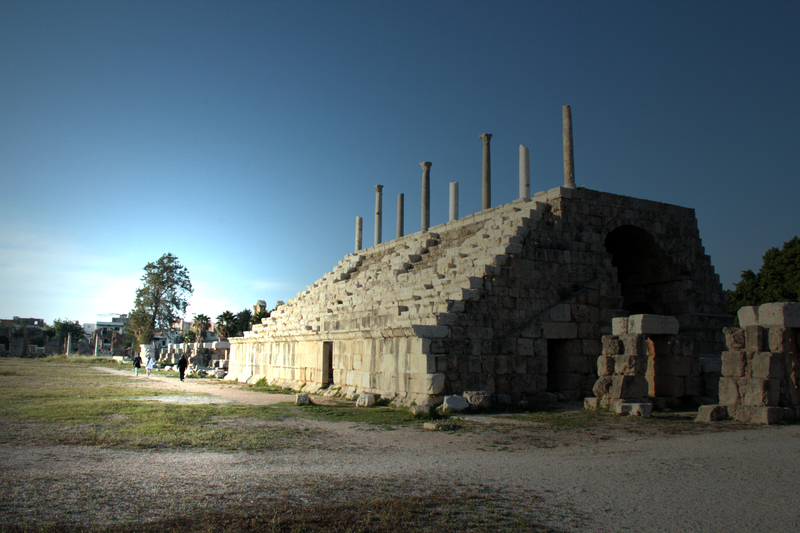 Tyre was very impressive, with one of the largest hippodromes in the world as well as triumphal arch leading to the decumanus. There was also the Roman/ Byzantine necropolis and a Byzantine church. One of the funnier things we saw on the trip was taking place in the hippodrome. Locals were using it as a track. Men and women were walking around it, and conservative women in their conservative workout clothes were jogging around it. The guard had let us drive in and told us to pay on our way out. When we drove back I got out of the car to pay him and he said not to worry about it. 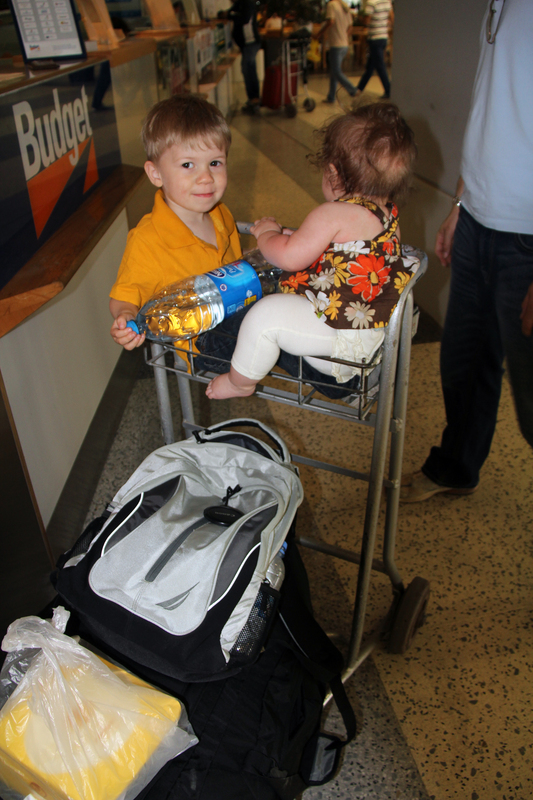 We saw many examples of Lebanese hospitality and friendliness and this was a great example of it. I doubt they get very many paying customers each day (all of the locals had seemingly walked through a different gate leading to an apartment complex that wasn’t guarded). We then checked out the harbor and headed back to our guesthouse, and despite the accident it was a pretty good day. We started day two as early as we could. I think we made it out around 830 AM and stopped at a patisserie for breakfast. Lebanese patisseries are fantastic, the French influence definitely has rubbed off. Ang bought two donuts, a small veggie pizza, and a croissant with almond (paste?) inside. The croissant was particularly delicious. 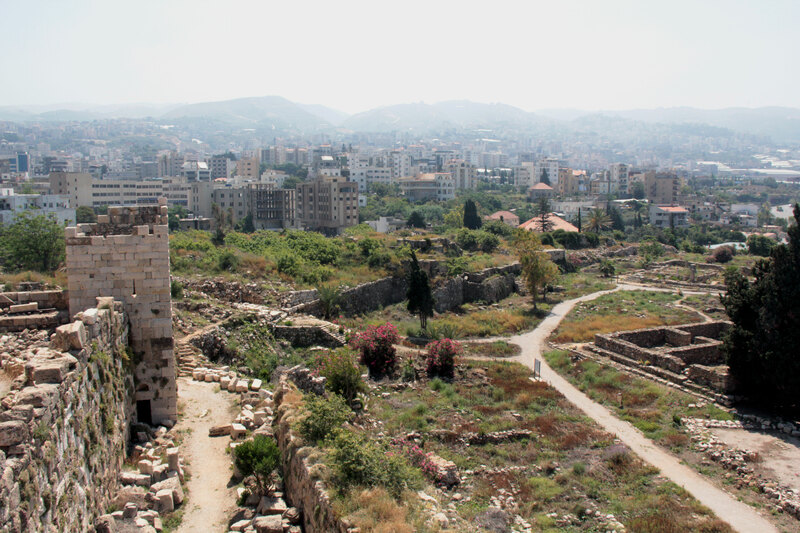 Our first stop of the day was Byblos. We went to the harbor (modern built on ancient) and the archaeological park. On this day we took over 570 pictures and I think a good percentage were taken at Byblos. 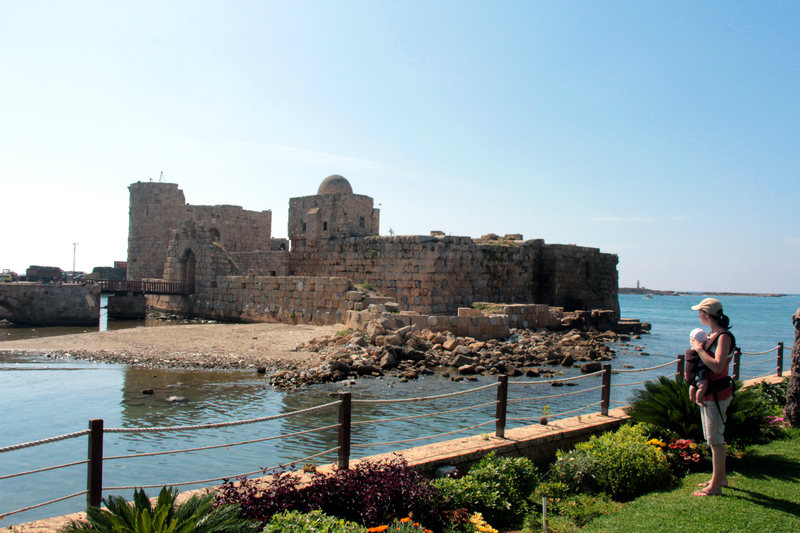 Not only is the area beautiful, the old city is built within the walls of the Crusader city, but the archaeological area is massive. Visible ruins in the area begin with the Chalcolithic Period and continue through modern times. There is a large Crusader castle built on an earlier Islamic fort, built on the Middle Bronze rampart and Early Bronze city wall. 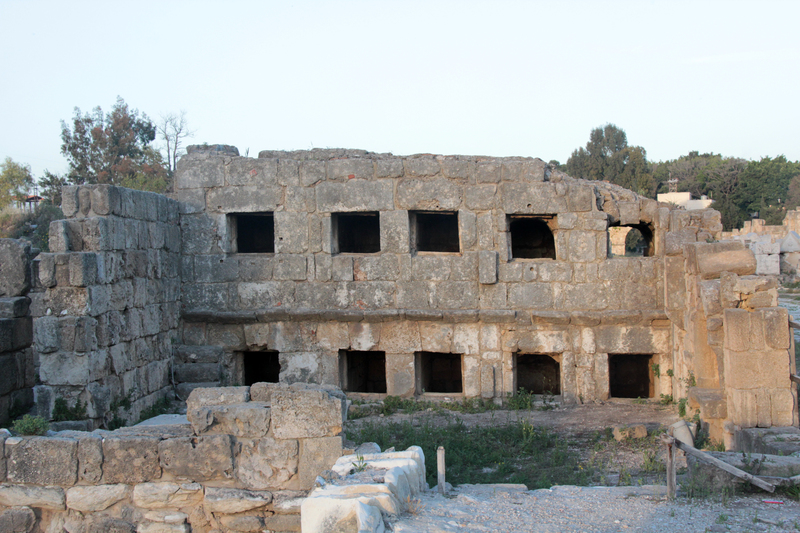 There is a Roman theater built next to the Phoenician necropolis and a beautiful 19th century CE house overlooking houses from the Chalcolithic period. When we got back to the car it wouldn’t start. I realized that Jack had turned the lights on when playing in the front seat, but after the car was turned off and the keys taken out. Stupid French car. We found two very nice 20 somethings who were very helpful. They didn’t have jumper cables, but called around to friends until they found some. 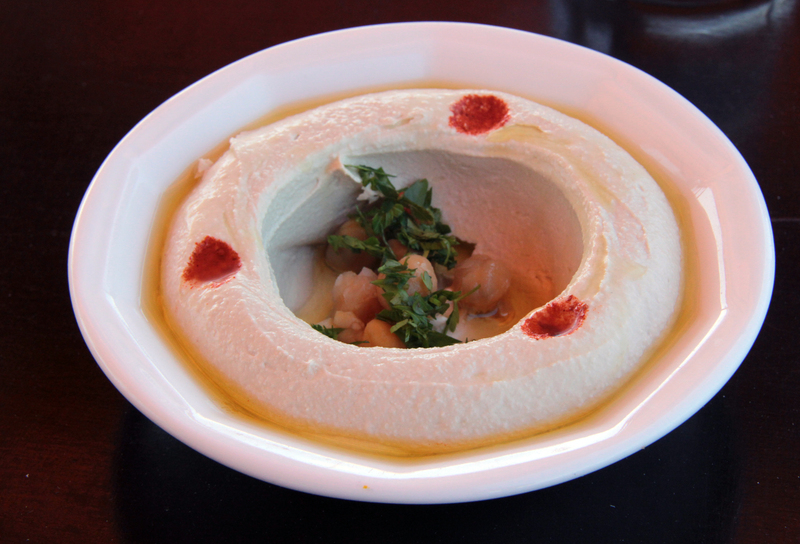 Middle Eastern hospitality at its best. We stopped on our way out of town and got some sandwiches. I got Ang and Jack a mixed grill wrap and I got a fried fish wrap, which was amazing. They put mint in everything in the Middle East and it did wonders to my wrap. After stopping by Tell Fadous-Kfarabida, an Early Bronze site that I read about in Near Eastern Archaeology, we got to Batroun. 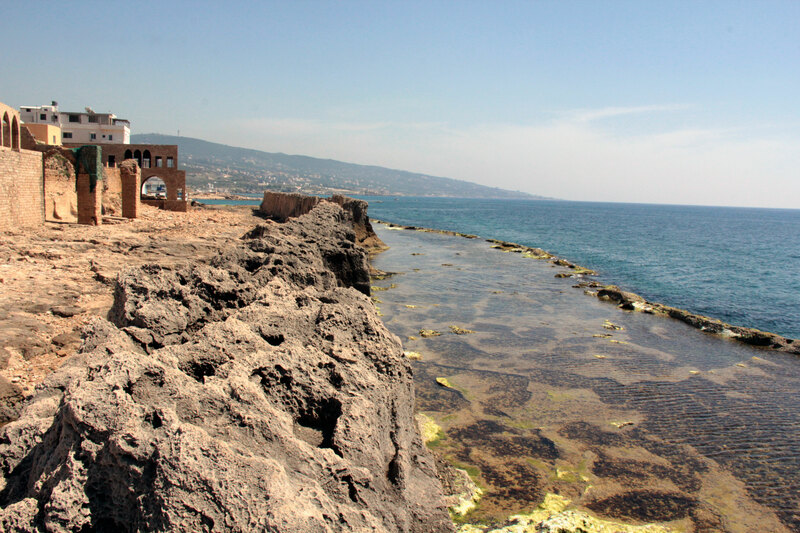 It is a small vacation/tourist village with a really cool sea wall excavated out of the kurkar rock by the Phoenicians. Not much to say about this stop. 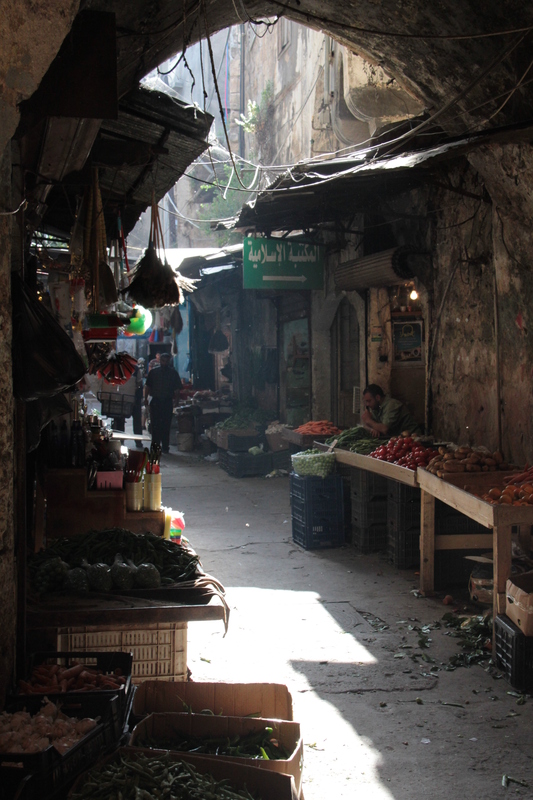 We once again got to walk through the old souk part of town, super narrow streets and old buildings. 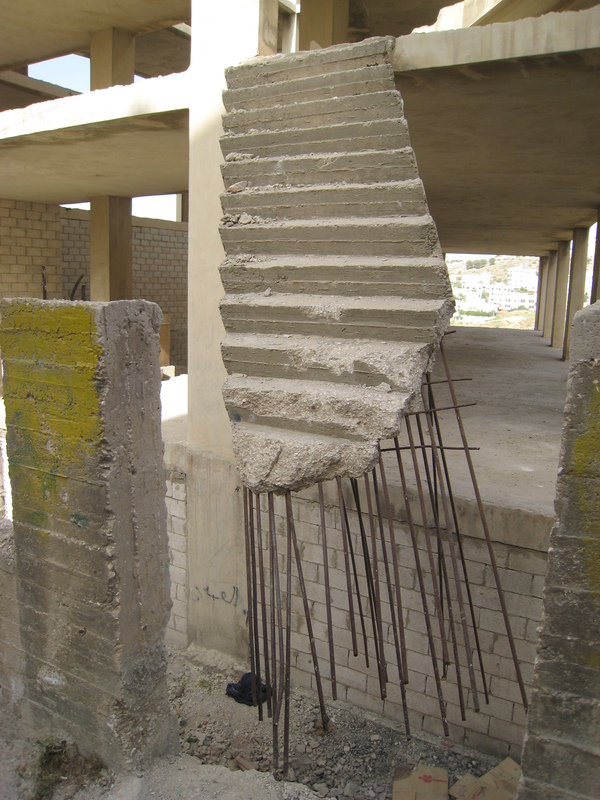 In this town, houses had an affinity for staircases that emerged out of the side of buildings and led to nowhere, quite amusing. Before we arrived in Tripoli we stopped at Moussaylha Castle, a fairy tale castle if there ever was one. 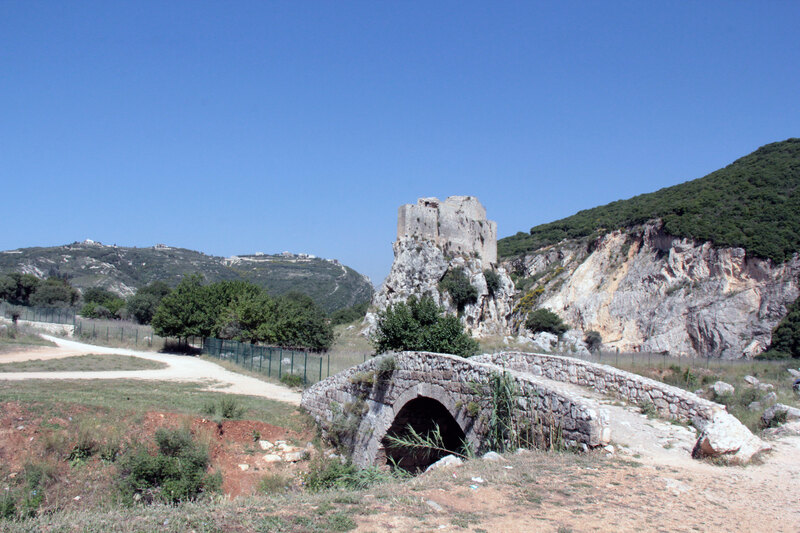 Built in the 15th century CE to protect the main pass through this region, it was constructed on top of a rock outcropping. There was a Bedouin with his sheep nearby and a babbling brook, one just had to tune out the busy highway nearby to imagine you were back 600 year ago. We then made our way to Tripoli. Despite getting somewhat turned around we made our way to the Old City. 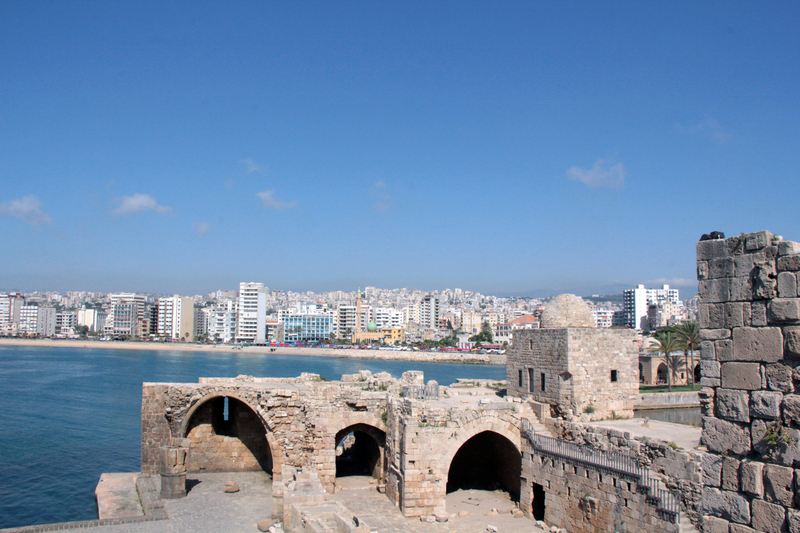 We wanted to see the Crusader Citadel, which dominates the area, and to try out a sweet shop that our guide book said was the best in Lebanon. Unfortunately the Citadel was closed (like the Moussaya Castle), but after many twists and turns through the unmarked narrow souk streets we found the sweet shop! It was quit fantastic, delightful kenafe with a special syrup to pour over top and amazing baklava. So, after all those twists and turns, we realized that we had no idea where our car was. We began retracing our steps when we ran into an eccentric Lebanese man dressed in a red tie and red pants with a green plaid vest. He asked where we were from in a quirky English accent (turns out his wife is Belgian) and informed us he worked for the tourist center in Tripoli and was delighted to see an American family in Tripoli. 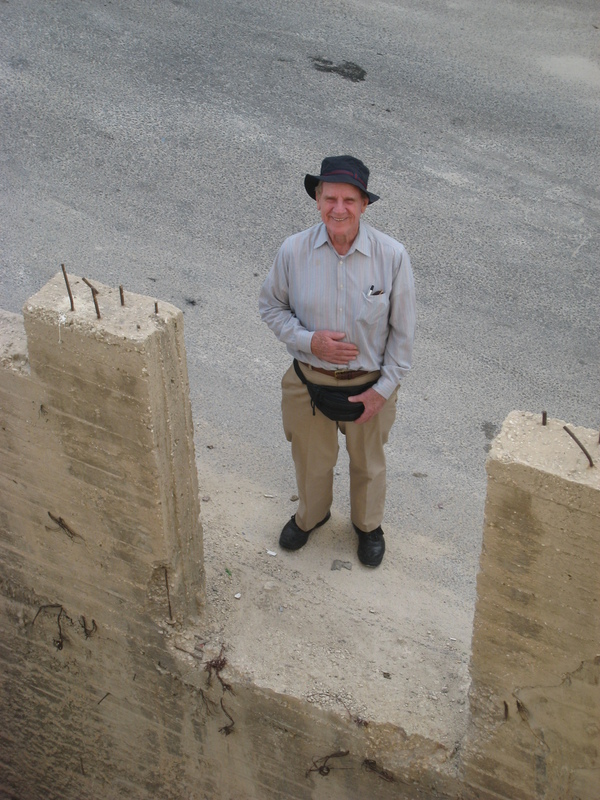 He also insisted on accompanying us through the back streets of Old Tripoli until we found our car. He knew every nook and cranny of those streets and told us all about them, and eventually lead us to our car. Hurray! He showed us the way to get back on the highway and then he was gone. Either disappearing into a back alley or vanishing into the ether. We decided to try and make it up into the mountains and see the famous Cedars of Lebanon grove before it got dark. 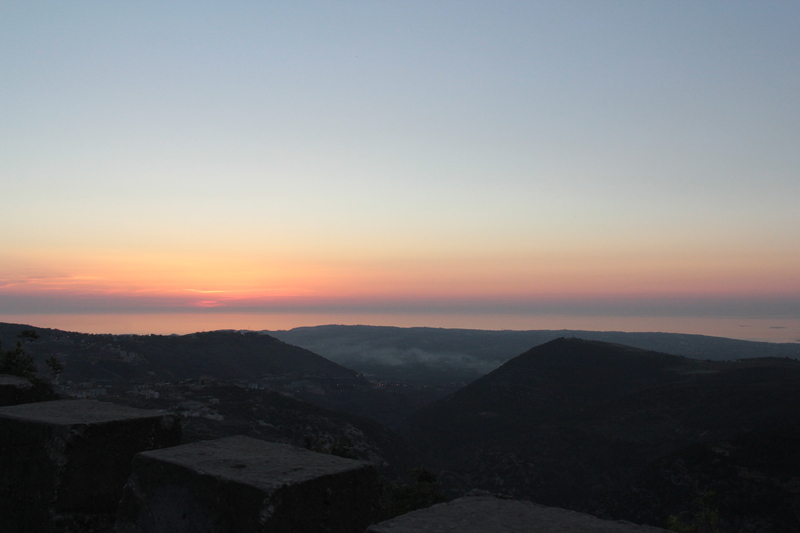 However we spent too much time trying to find our car and underestimated the time it would take to get up into the mountains, so we had to stop and turn around to return to Beirut, but not before seeing a beautiful sunset and some snow capped mountains.